2017 Woman of the Year Cindy Sorensen of the Midwest Dairy Association with Lorelei Mottese, chair of the Women Grocers of America. 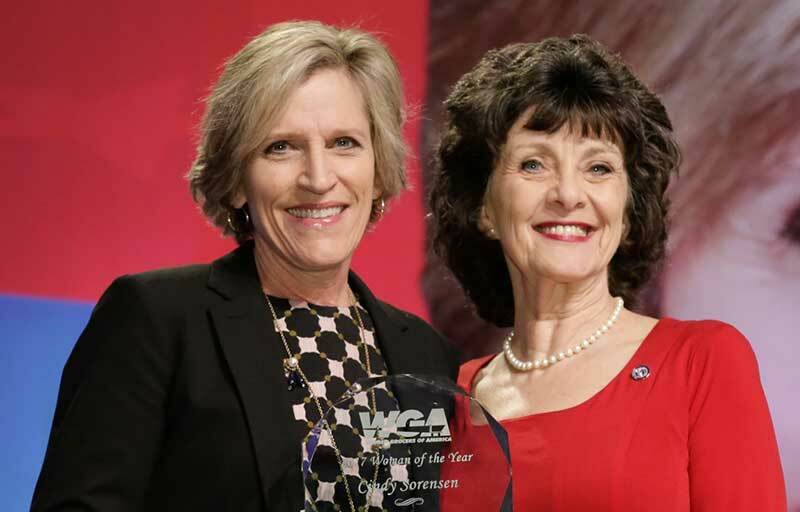 Women Grocers of America (WGA) is accepting nominations for the 2018 Woman of the Year Award. The Woman of the Year will be recognized for her accomplishments at the 2018 NGA Show in Las Vegas, Nevada. The award recipient will receive complimentary registration to the show and gala. The WGA Woman of the Year Award was established by the WGA Board of Directors in 1996 to provide visible support and recognition to outstanding women in the independent grocer industry. Nominees must be female professionals with at least 7 years’ experience in the independent food industry. Nominees do not have to be a member of WGA, but must be employed by an NGA member company. Nominees should exemplify the true characteristics of a leader with passion, helping to shape the face of her company or organization while distinguishing herself from her peers. Nominees from all industry subdivisions are welcome, including single-store retailers, multi-state wholesalers, state association executives, and other entities. Nominations are due by Jan. 5. A nomination form can be found here. 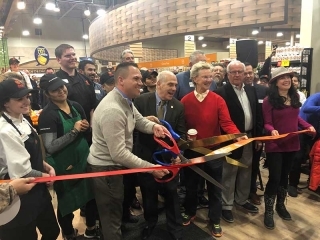 Those submitting nominations will need to describe why the candidate was chosen, list her business achievements and accomplishments, describe her effectiveness in serving the community and/or in her civic work and describe how the candidate has contributed to the independent grocery industry. 2016—Sheri Satterwhite, Brookshire Grocery Co.
2012—Barbara Thomas, K-VA-T Food Stores Inc.
2011—Stephanie Skylar, Chief Super Markets Inc.
2009—Pamela Murray, K-VA-T Food Stores Inc.
2008—Mary Ellen Gowin, Wakefern Food Corp.
1997—Ruby Wyatt, Wyatt’s Supermarket Inc.